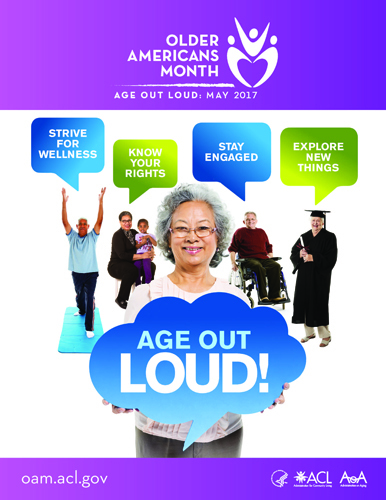 Age Out Loud in Older Americans Month • The Sketchley Law Firm, P.A. Getting older doesn’t mean what it used to. For many aging Americans, it is a phase of life where interests, goals, and dreams can get a new start. Today, it’s about eliminating outdated perceptions about “old age” and living the way that suits you best. 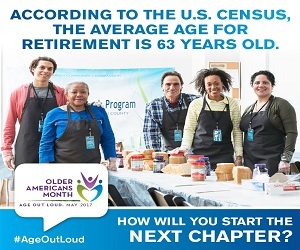 This year’s Older American’s Month theme, “Age Out Loud,” emphasizes the ways older adults are living their lives with boldness, confidence, and passion while serving as an inspiration to people of all ages. Take Barbara Hillary, for example. A nurse for 55 years who dreamed of travel, at age 75 Hillary became the first African American woman to set foot on the North Pole. In 2011, at age 79, she set another first when she stepped onto the South Pole. Former president George H.W. Bush celebrated his 90th birthday by skydiving. Actress Betty White, now 95 years old, became the oldest person to host Saturday Night Live in 2010, coincidentally during May—the same month recognized as Older Americans Month (OAM). With the average age of retirement at 63, retirement is not the end, but the beginning of a new chapter. Older Americans have time, experience, and knowledge. They are a valuable resource to communities and families. The only question they have to answer is: What do I want to do? The options for the next chapter are limitless. Local schools are always in need of volunteers with knowledge and experience to share with students. Local colleges and universities offer classes designed for older Americans. For example, Florida State University has the Osher Lifelong Learning Institute. If you are interested in seeing the state and national parks, there are volunteer opportunities that include free accommodations. And, if you always wanted to be an athlete, there is always the Senior Games. The information on this site is intended as information only. It is not legal advice. The use of this page does not constitute an attorney/client relationship with this firm or its attorneys. Copyright © 2018 The Sketchley Law Firm, P.A.